Members of Congress lashed out at Metro and federal transit officials Friday after a scathing report revealed Metro officials knew of problems that led to a derailment at the East Falls Church Metro station in July. During a hearing held by two House oversight subcommittees, lawmakers had questions about a National Transportation Safety Board report saying workers ignored safety problems on the tracks and falsified inspection records, which may have contributed to a July derailment. “To hear the reports of falsified records is just mind-blowing,” said Rep. Mark Meadows (R-N.C.). Metro General Manager Paul Wiedefeld told Congress he’s looking into the allegations. 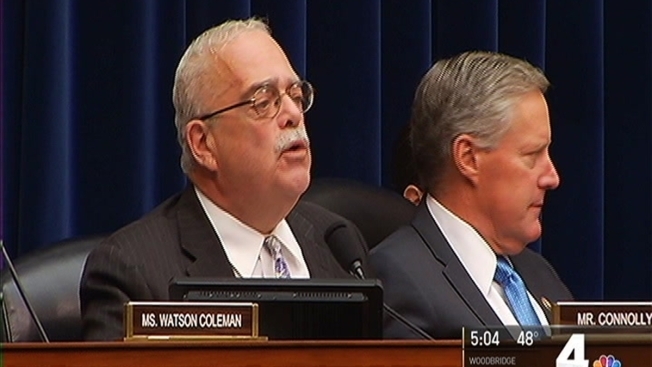 Northern Virginia Rep. Gerry Connolly, a Democrat, said Metro faces an "enduring leadership crisis" that he blamed on its board of directors. Congress members sought answers from the Federal Transit Administration on whether it’s the proper agency to oversee Metro’s safety and if so, why they haven’t made changes needed to prevent accidents like the derailment. If Metro followed its standards, the derailment should not have occurred, FTA Executive Director Matthew Welbes said. “The problem is that the culture overcomes the rule book,” he said. After an exchange between Meadows and Welbes went on for several minutes, Welbes acknowledge his agency was partially responsible for breakdowns in safety. “It’s a systemic fault of all the people involved,” he said. Connolly expressed his state legislators’ frustration with the FTA over a different issue. Wiedefeld told members of Congress his agency will have to focus on reliability to get riders back after a year-long maintenance blitz. Metro has said ridership is down as a result of the work, which has caused disruptions and delays. The agency has to focus on reliability and getting the "trains running on time, bottom line" to get ridership back, Wiedefeld said. At the end of the hearing, Wiedefeld said despite some tense moments, the hearing served a good purpose. “To air some of the issues clearly is good,” he said. “It helps me to understand where they’re coming from." Nothing was resolved at the hearing, which was the last hearing before these oversight committees before new members take office next year.